Earlier today there was a post about Jacob Zuma’s resignation from his position as South Africa’s president. There has been some confusion since then. Please allow me to explain what’s happening. Seeing as presidency is not a birthright that Jacob Zuma can hold on to or give up as he pleases, but a prerogative that we can give or take back, we have handed Jacob Zuma’s resignation in. #ZumaResigns. Presidency is not an office that Luthuli House can deploy who they choose into: it’s an office that exists because it’s recognized by the people. The people can cease recognizing the person in that office. At the end of the day, it doesn’t matter what the multiplying committees, tribunals and courts say (not that Jacob Zuma spends much time in court). This is not the media’s business to confirm, but to receive as fait accompli. These multiplying committees have investigated Nkandla and many other corruption scandals. They have found nothing, not because there is nothing to find, but because their hands are tied or their members can also be implicated. We can trust them and override them as we see fit. Under normal circumstances, the State, Parliament and various other organs have a role to play where the existence of Presidency is concerned. Insofar as this issue is concerned, we rescind that power. We gave it. We can take it back. Due process does not have the power to correct the mishap of Zuma’s presidency. We created due process. We can suspend it at will. #ZumaResigns is not a petition. It is not a revolution. It is not anarchy. It is not a protest. It’s simply a decision that the government has taken. And who is the government? We are. We cannot petition to ourselves, though we have long petitioned at doors that close us out as though the people behind those doors chose us. But we chose them. We cannot revolt against ourselves, though, absurdly, we have done so for some time. We cannot instigate anarchy against ourselves. We cannot protest to ourselves. We can decide for ourselves instead of waiting for someone else to decide. We are They, and we have been making the decisions all along. There is no one else. #ZumaResigns is a statement of accomplished fact that, as we speak, is being repeated across South Africa by the people. Jacob Zuma has resigned from his office because we have resigned him from his office. It can’t be stopped because it’s happened in people’s heads. That’s where Zuma’s presidency begins and ends. We can acknowledge him if we wish or cease acknowledging him as president, and there isn’t one thing he can do about it. If he stands at a podium, we will chant, “You’ve resigned”. There is no need to boo but there is a need to unite our voices into one clear message. “You’ve resigned”. If a journalist references him as “President Jacob Zuma”, we will write in a correction, saying, “Former President Jacob Zuma”. We can announce his resignation on billboards and on twitter not because he has confirmed it but because we have decided it. In the 21st century with all the political and technological power that we have, there need be no ceremony. Just blog about it. Think it. Will it. Post it. Share it. Like it. Tweet it. Tell it. Know it. Own it. Rubbish and misleading, Zuma is not going anywhere. What is the translation in seTswana of “Zuma resigns” …and where do we get the t-shirts? your blog is for idiots. You say all of this 6 months after you voted for him??? The news is confirmed HE REALLY RESIGNED, even though he will deny it. A truly bold move. Looking forward to a week without hearing the words corruption, fake qualifications, etc. Siya, about a month ago I wrote an e-mail to Mark Shuttleworth – who then just got his Judgment. 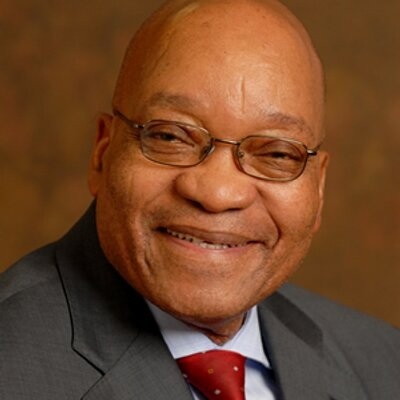 Under ‘subject’ I wrote: “… and JZ’s last days in Office”. (I will forward you the e-mail, in case you are interested). Great & exciting things are happening! JZ’s resignation is only the beginning! Respect is imperative. Does Zuma respect his people? Does he have the respect for one wife? Look at what is happening to SA’s international financial status. We are a complete international joke! Bull dust respect. Our father. If this is how a father treats his children I will rather be an orphan. He is a criminal.